Ready to have your mind blown? 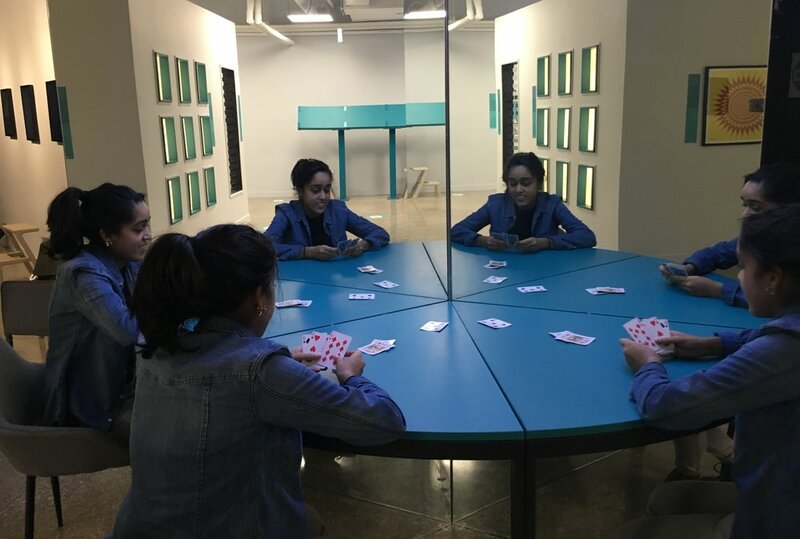 The newly established Museum of Illusions offers intriguing exhibits and installations that you have to see to believe. With 13 other locations across the globe, the famous museum’s first Canadian location opened on Nov. 7 and is located in Toronto (132 Front Street). The museum invites visitors to immerse themselves in an interactive environment that is fit for all ages. Described as a “fitness centre for the brain,” the museum aims to provide a fun, yet educational experience. Guests will learn about the theories of perception, vision and the human brain through a series of sensory-stimulating rooms and installations. In addition, before departing the museum, visitors can challenge themselves to puzzles and games found in the museum’s playroom. If you plan to check out this unique and spontaneous attraction, make sure to bring your camera with you. The museum’s exhibits provide opportunities for one-of-a-kind pictures that are sure to trick the eye as well as draw attention on your Instagram feed. Even if you come alone, the museum’s staff is more than happy to help you get the perfect picture. Here’s a look at some of the Museum of Illusions’ most mind-boggling exhibits. Feeling a little lonely? Then take a seat at the Clone Table. A section of a table is wedged in between two mirrors to create multiple versions of you. Whether you want to play a round of cards or just take a break, you’ll always have a bit of company. 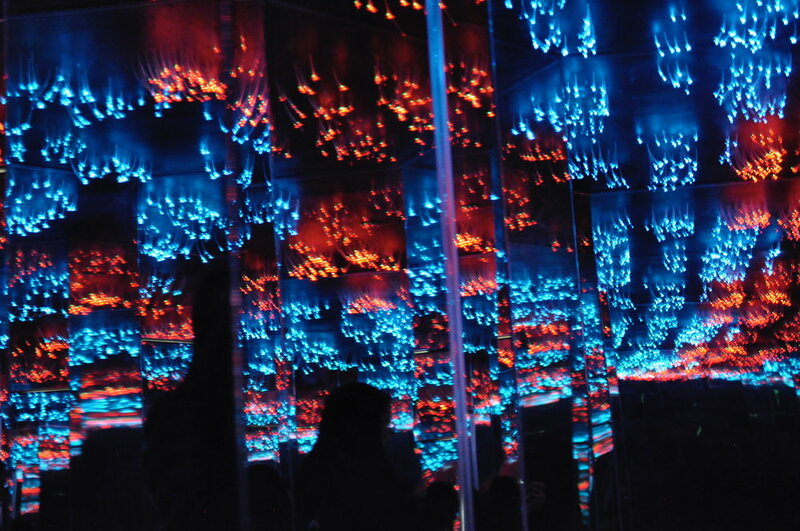 If you missed out on the Infinity Mirrors exhibit at the AGO earlier this year, the Museum of Illusions’ Infinity Room provides a similar experience. In this room, full-length mirrors cover every wall. This installation makes this room seem endless and is brightened with colourful lights on the ceiling that provide a beautiful illusion of infinite space. It may seem like your average furnished living room, but take a step into the Rotated Room and you’ll suddenly find yourself walking on the ceiling. The secret to this gravity-defying picture? You’ll have to come and find out the trick yourself. Remember that kaleidoscope toy you had as a kid? The fun of it was the endless possibilities of patterns you could create. 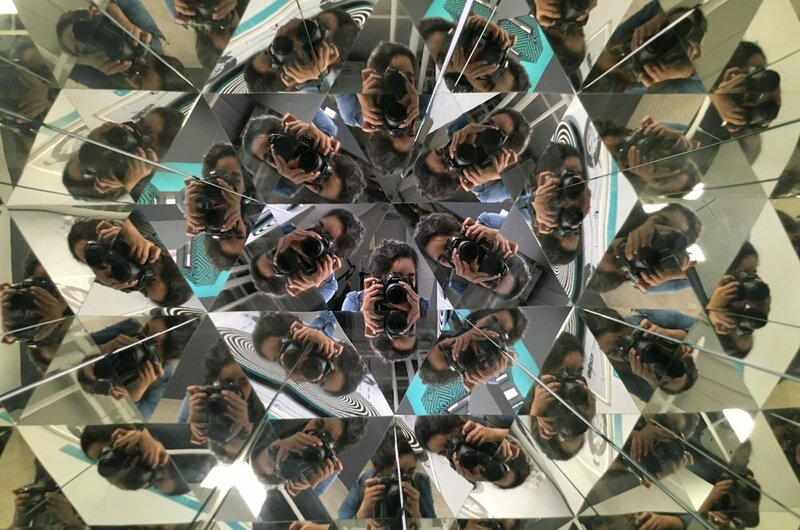 Now at this exhibit, you act as the pattern as angled mirrors turn you into your very own large-scale kaleidoscope. The Vortex Tunnel is seemingly innocent at first. It may just seem like a bridge through a room of lights, but take one step into the tunnel and you’ll be in for a dizzying experience. Though the bridge never moves, the flashy lights create an illusion of rotating walls that will have your feet trembling and head spinning. Though this may just seem like a regular room from the outside, a slanted floor plays with your sense of perception to create this funny illusion. Stand in either corner of the room and the Ames Room makes it possible to grow or shrink in a matter of seconds. Perhaps you’ve seen this room on your feed because this exhibit might be the museum’s most Instagram-worthy. This room plays with the science of colour and light to provide a vibrant background. Take a step inside and you’ll be sure to get the perfect aesthetic shot. Want to get the full experience? 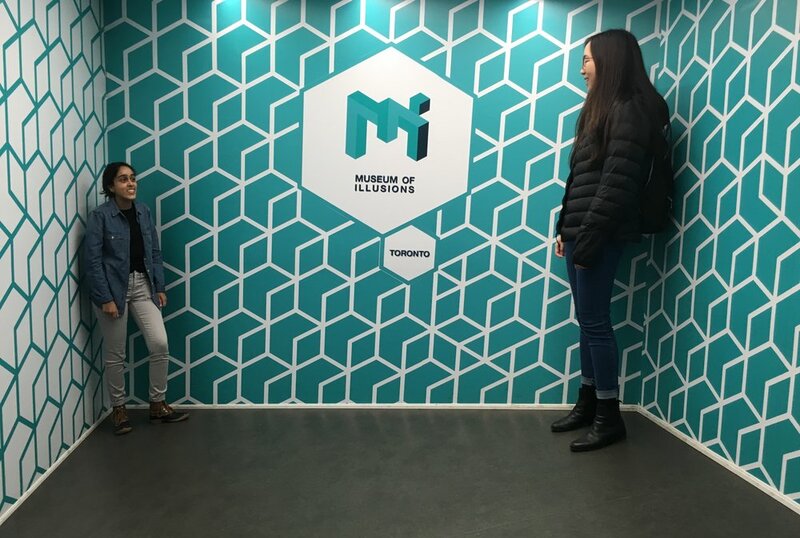 The Museum of Illusions is open seven days a week from 10 a.m to 8 p.m, with adult tickets priced at $23.50. Indulge yourself with the trippy and unique rooms the museum has to offer.